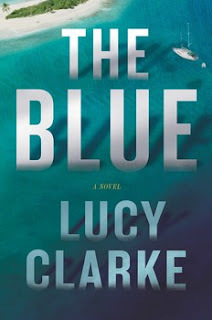 Please welcome Lucy Clarke, author of The Blue. 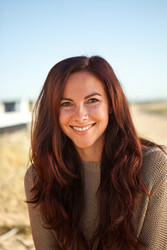 Lucy Clarke is the author of Swimming at Night and A Single Breath. She and her husband, a professional windsurfer, spend their winters traveling and their summers at their home on the south coast of England. Wine. A chilled bottle of Sancerre, if you’re buying. Camping. Fresh air and a good dose of nature revive me every time. Don’t hate me, but …. neither. 1. Tea: English Breakfast, of course. 1 Physical book. I like to sniff them. See answer to no.6. Again, sorrrrrry. Chapstick. I worry that lipstick makes my teeth look yellow. There, I said it. At turns gorgeously scenic and entirely haunting, The Blue is a page-turning thriller about friendship, freedom and wanting to leave the past behind.